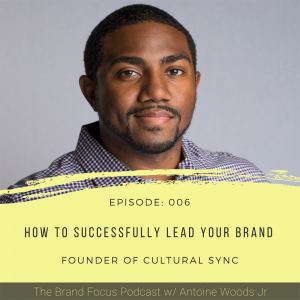 In this episode of the Brand Focus Podcast, we discuss how you as a business leader can begin the process of successfully leading your brand. I assume you’ve taken the steps to define your brand foundation. The next step in the process is for you as a leader to champion the brand internally, before you approach & engage those outside of your business. You must make all of those affiliated with the operations of your business aware of the fundamentals of your brand, and why it’s important that they champion it as well. Throughout the episode, we discuss several steps you can take to approach this process with your team. Canva: is a free graphic-design tool website, founded in 2012. It uses a drag-and-drop format and provides access to over a million photographs, graphics, and fonts. It is used by non-designers as well as professionals. The tools can be used for both web and print media design and graphics. Text on photos and videos: is a mobile app for adding real-time text and filters directly to your camera! In only a few seconds you can add captions, quotes or anything else you can think of to your camera and share quickly and easily with your friends.